How Many Women Use the Pill? 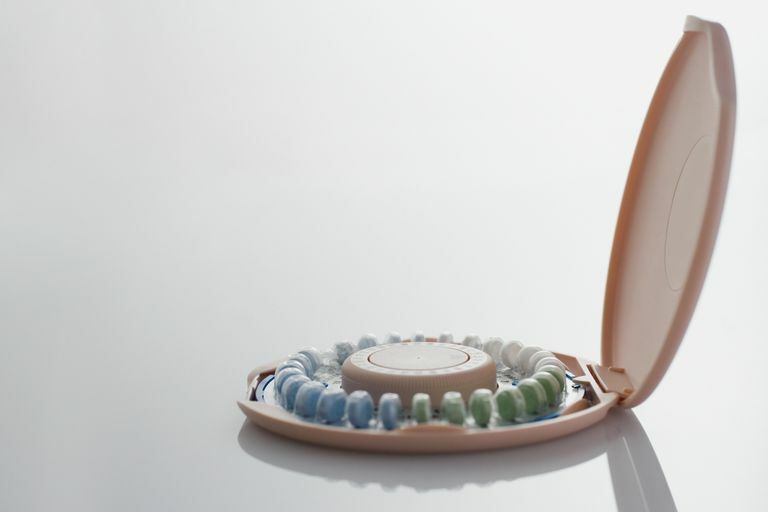 The pill is the number one birth control method used by women ages 15-44. Four of every five sexually experienced women have used the birth control pill — 26% of women in this age group also have high blood pressure. Is there any connection between the pill and high blood pressure? Birth control pills contain synthetic hormones. Combination birth control pills are made from estrogen and progestin. The mini-pill is a progestin-only contraceptive. These hormones are the reason that the pill works to prevent pregnancy — but unfortunately, they can also increase your risk for high blood pressure. If you use the pill and are older than 35, obese, and/or smoke, you may be at even more risk. Birth control pills can increase your blood pressure from slightly to potentially dangerous. When using the pill, you may also have a slight increase in the risk of developing a blood clot. Sometimes, if your blood pressure becomes too high while using the pill, you may need to switch to a new birth control method. The risk for high blood pressure increases with your age. When women stop taking the pill, their blood pressure usually becomes lower. But some research says that birth control pills may cause a small (yet significant) increase in diastolic pressure — and this can continue in older women who have been off the pill for years. A history of high blood pressure when you were pregnant. A family history of high blood pressure (especially in female relatives). A history of heart problems or blood vessel issues. Can I Use the Pill if I Have High Pressure? The answers to this question are yes and no. Before you start using the pill, your doctor should conduct a thorough personal and family medical history (this should include paying attention to cardiovascular risk factors). It is very important that you are honest with your doctor during this time. You should also have your blood pressure checked — this will establish a baseline measurement. Once you begin to use the pill, you should have your blood pressure checked regularly. If your blood pressure begins to rise while you are using the pill, this does not automatically mean that you have to stop taking the pill. If your blood pressure can be successfully managed (either through diet and exercise or medication), your doctor will most likely allow you to continue your pill use. Have you continue as normal and keep you on the same birth control pill. Decide to change your prescription to a pill brand that contains a lower (or different type) or progestin or to a pill brand that does not contain any estrogen. Have you stop using the pill and have you switch to a different birth control method. If you are concerned about your pill use and high blood pressure, you can discuss the risks of staying on hormonal birth control with your doctor. There is no rule that says you must continue to use the pill. If you decide that you want to stop taking the pill due to high blood pressure, there are other birth control methods that you can safely use. You can choose any over-the-counter method. These include condoms, spermicide, the sponge, and female condoms. There are also prescription options that you can try. These include an IUD (like hormone-free ParaGard) or a diaphragm. Your doctor may also be okay with you using a progestin-only method like Mirena IUD, Skyla IUD, Nexplanon, or Depo Provera. If you know that you are finished having children (or you do not want to have any kids), you can also safely look into permanent methods like tubal ligation or Essure. Beevers, G., Lip, G., & O'Brien, E. (2010). ABC of hypertension (5th ed). Malden, MA: Blackwell Publishing.